Welcome. My name is Denise Wood and I hold professorial positions in teaching and learning related areas at the University of South Australia and the University of the Western Cape, South Africa. My research focuses on social inclusion, inclusive education, participatory research methodologies, flexible e-learning and the scholarship of teaching and learning. Denise Wood is Associate Head of School: Teaching and Learning, and a researcher in the School of Communication, International Studies and Languages at the University of South Australia (UniSA), and an adjunct Professor in the Faculty of Education at the University of the Western Cape. Her research focuses on the use of accessible information and communication technologies (ICTs) to increase social participation, as well as the pedagogical benefits of social media in teaching and learning. She has been the project leader of three national teaching and learning funded projects, including a recently completed project involving the design and development of an accessible 3D virtual learning environment. She is currently undertaking collaborative research in South Africa with the Gauteng and Limpopo Provincial Governments, which is investigating the use of accessible ICTs to enhance student learning and increase student retention in rural and semi-rural special schools. She is Associate Editor of the Higher Education and Research Development Journal and a peer reviewer of several high ranked journal publications. 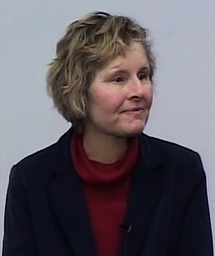 She is also a member of the Australian Communications Consumer Action Network (ACCAN), Standing Advisory Committee on Disability Issues (SACDI) and the Australian Disability Professionals Association, as well as various advisory committees and working groups concerned with increasing social participation through improved access to ICTs. Her work in innovative teaching and learning, and accessibility solutions for learners with special needs has been recognised with several awards including an Australian Learning and Teaching Council Citation for Outstanding Contributions to Student Learning, a SA Great Award, several University teaching and equity awards and the inaugural 2010 Telstra-TJA Christopher Newell award for Telecommunications and Disability.